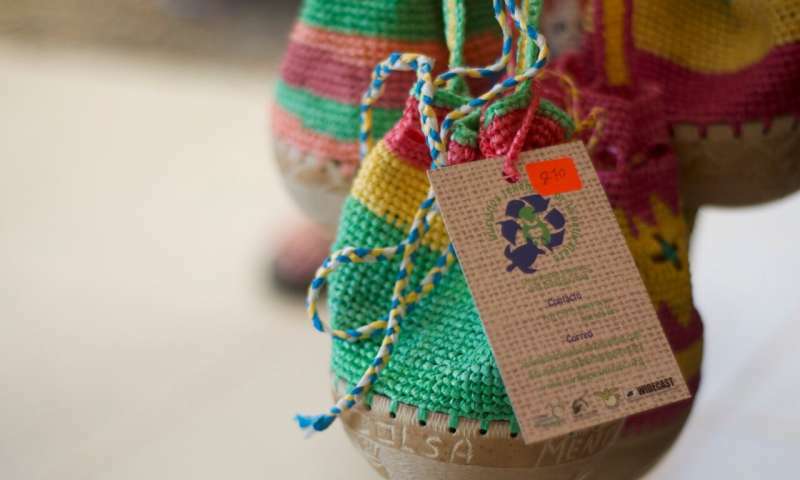 Weaving for Nature was launched in 2007 and involves the formation of women's weaving groups, who collect plastic bags polluting beaches and weave them into products for sale, predominantly to tourists. 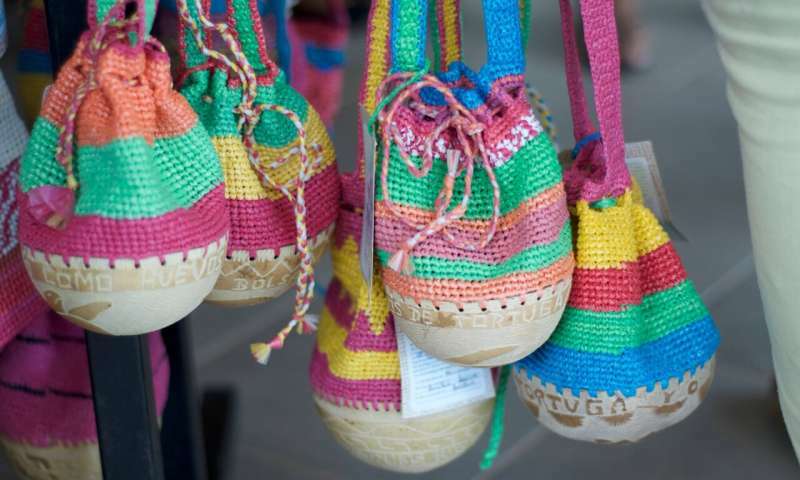 The aim is to increase the household income of the participating women, thereby decreasing their incentive to poach turtle eggs, and at the same time to reduce the amount of plastic pollution on important turtle nesting beaches, to lower the risk of turtles consuming plastic bags. Weaving for Nature has successfully contributed to a wider programme of work that has improved turtle conservation. In particular, this initiative has provided families previously reliant on turtle poaching with sustainable livelihood options and changed attitudes towards turtle conservation, as the in-country coordinator, Alma Susana, confirms: "Many of the women, and many of their relatives who are now part of this initiative, used to go to the beach to poach turtle eggs. Now they visit the same beach, but to clean it." 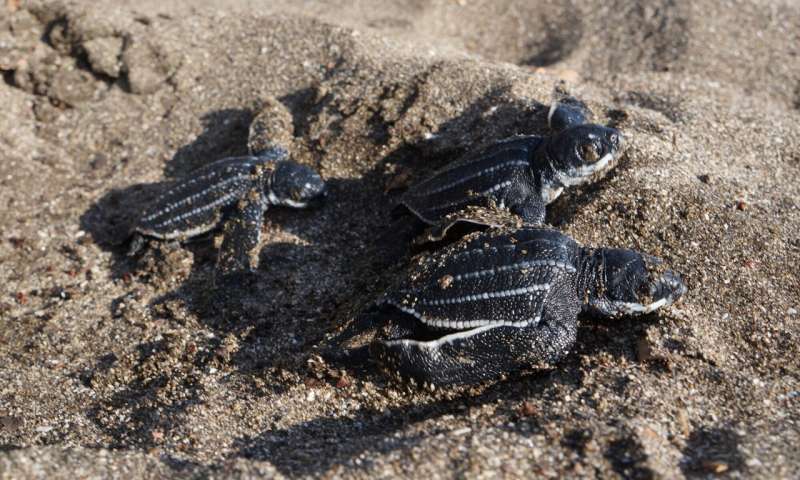 During the 2017/18 nesting season, 100% of the nine leatherback turtle nests were protected from poaching in Chacocente, a globally important area for nesting sea turtles, resulting in the release of 137 leatherback hatchlings to sea, whereas 100% of all nests were poached prior to FFI's intervention. Anecdotal reports also suggest that plastic pollution levels on and around beaches have reduced. A woman from the weaving group in Astillero, a community near Chacocente, recounted: "I feel that in some way we have contributed towards a change in Astillero, because if you came here six years ago, that field over there would be filled with bags that were being blown into the air towards the sea." Furthermore, the women were a disadvantaged group within these marginalised communities; the initiative has brought them together so that they share a common purpose, and has boosted their sense of empowerment and motivation: "I am a grandmother. I am a wife. I am a housewife. I am also a weaver. I am Wonder Woman!" It has improved their social status within their families and the wider community, and the women are empowered to take more control over their lives; for example, they are starting to use family planning to achieve their desired family size.